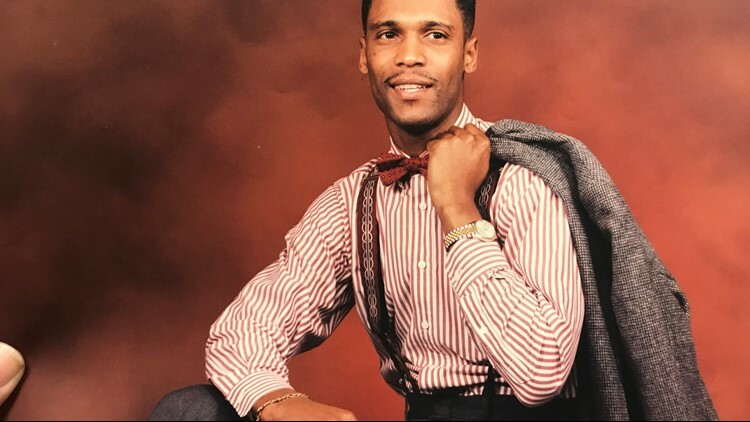 ACWORTH, Ga. – Kelley Castlin-Gacutan gently traces her dapper husband’s face with her finger on a photograph of him grinning and sharply dressed in a black tuxedo, complete with a neatly positioned bow tie. “He loved us so much; he loved family. He loved life. He was ambitious. He was funny, smart, very good looking,” she said, doting on Rodney Castlin. “He was wise beyond his years,” Kelley, 47, remembered, beaming with undeniable pride. Kelley, then-31, could not have realized that one of those changes would be not having him in her life. Now, she thinks of him and their life together and knows that he is still with her, guiding her into new chapters, including helping others with kindness and generosity. Rodney and Kelley met in the fall of 1991--their fairytale story was a whirlwind. Rodney was working for an insurance company and she worked at a bank—both within the same office building. “A person who worked in the building kept telling us about one another and one day we met in the lobby,” Kelley recalled. Shortly after, they went on their first date. He came to her apartment, she said, and they sat and talked for hours on end. A few years after they began dating, Rodney proposed to her at her favorite restaurant at the time, Red Lobster. 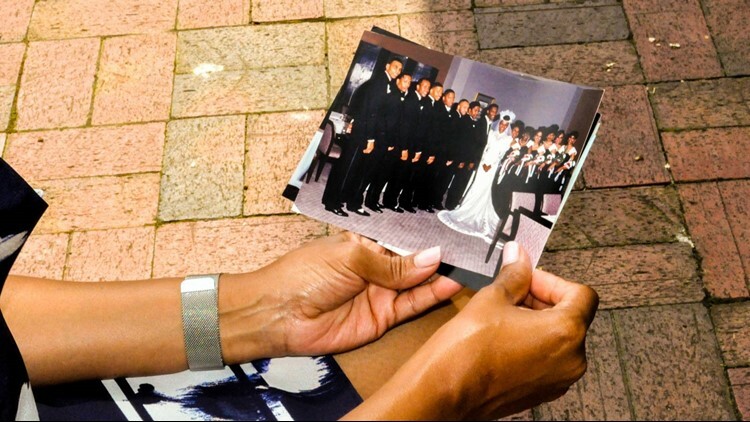 With a classic black and white theme, the couple married on April 5, 1995 with a 16-person wedding party, as well as their family and friends to help them celebrate. With a black tuxedo, complete with a white bowtie and shined black dress shoes, Rodney posed in photos next to his bride, Kelley, who was wearing a delicate pearl and lace head piece, matching a fitted, lace-adorned white gown with a sweetheart cut and satin train. The next few years would hand her some of the most joyful moments of her life, and also, some of the most heartbreaking. 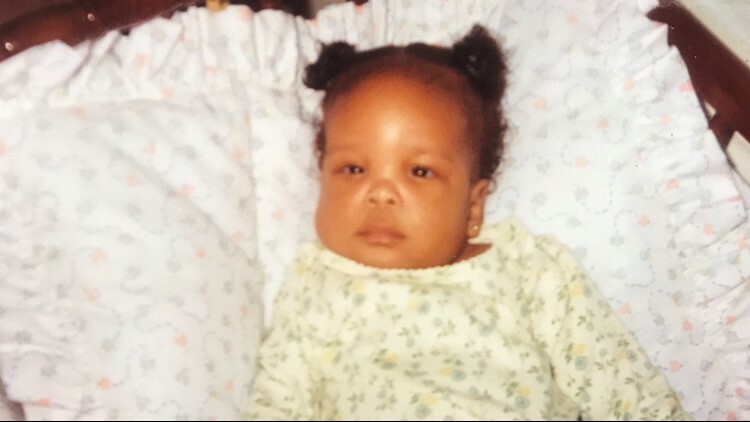 On Feb. 10, 1999, their daughter, Kennedy, was born. She was born with agenesis of the corpus callosum (ACC), a rare birth defect where the fibers between the left and right sides of the brain are not formed properly during pregnancy, leaving a lack of communication between the two sides of the brain. Part of the challenge, the mother revealed, was not knowing how ACC would affect their daughter. She could be independent or could be completely dependent on Kelley and Rodney. Kennedy’s doctors told her, “‘You just have to wait and see what she shows you she can do.’ And that was hard… that was so hard,” Kelley remembered. “We were committed that whatever it takes, she’s going to be the most thriving, healthy baby girl she can be,” Kelley said. On Oct. 5, 1999, Kelley took Kennedy to her doctor’s appointment. She was right on track with her progress. “I was very encouraged and happy. She was the best that she had been,” Kelley said. But, on the way home, she didn't look so good. So, Kelley took her back to the doctor… "and then, that was it." And a little over a year later, Kelley was pregnant again. But, on Thursday, Dec. 7, 2000, everything for the Castlin family, which included their 4-year-old son, Kyle, would take a dramatic turn and change their lives forever. Rodney, 36, took classes during the day and worked as a hotel manager at night, working toward a business degree at Chattahoochee Technical College—his goal was to open his own business detailing cars. “We were just a very happy couple, just looking forward to brighter days,” Kelley said, after losing a child a year earlier. On a chilly winter evening, just before Christmas, Kelley remembered that she and Kyle had pizza for dinner and before going to bed, she called Rodney, who was already at work at the Wingate Inn—a business-class hotel in Kennesaw, Ga., just off Interstate 75, that had only been open for about six months. He had started at the nearby Days Inn and worked there a year before moving to the newly opened Wingate, taking a position as the night manager. The young couple spoke around 8 p.m.
Kelley, who was an assistant principal at a local school, remembers it as a brief conversation, just a typical recap of what each other had done that day—especially since they were on conflicting schedules—her on days, him on nights. When he worked nights, she said, it was always important for them to talk before she went to bed. “You just never know what the day brings,” she said. That night, while she talked to Rodney who told her about the audit that he had coming up the following day and how he was preparing for it. It was a busy night for him. She told Rodney she was going to get Kyle ready for bed and that she was going to go to sleep as well. “Our last words were, ‘I love you,’” Kelley said. At approximately 11 p.m., Kelley was startled awake by a knocking on her front door. “I thought I heard someone at the door... and I thought, well, Rodney must have forgotten his garage door opener. I went down the stairs and at my door was sheriff's deputies,” she recalled. They asked to come inside her Acworth home, and she cautiously obliged with confusion about why they were there. Then-Cobb County detective, John Dawes, divulged to her the worst news of her life. “We want to let you know that there was a shooting at the hotel tonight and Rodney was shot and killed,” he told her. The 8-months pregnant wife and mother’s mind began to swirl in utter disbelief. Amid the chaos and panic, a calming presence came over her. She believes it was Rodney. “Because of his faith and because of his love for us, I know so well, that I felt comforted by him. So, while it was excruciating, extremely painful, I found a way to cope, even at the onset, because of those factors. It wasn't just me; it was me, having an unborn baby. Me, losing a child. Me, having a 4-year-old—and it is just me now." Before she knew it, her living room was swarming with people—investigators, neighbors. Kyle woke up and crept downstairs to see what was going on. “That little 4-year-old looked at me, and he said, ‘I have to take care of you and the baby,’” Kelley remembered. That night, Dawes made a promise to her. “Day after day, I would call and say, ‘Do we have any leads? Do we know anything?’” she said. Soon, instead of calling every day, she started calling once a week. Once a week turned into every couple of weeks, to once a month—only to get the same answer: No leads. “It was very frustrating. It was just incredibly difficult,” she said of not knowing. But what detectives did know was that at 10:30 p.m., on Dec. 7, 2000, two men busted into the Wingate Inn, near Barrett Parkway. 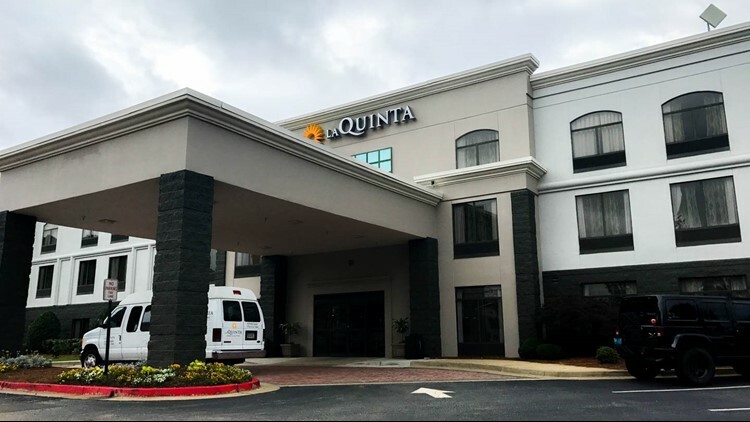 One of the assailants, who was armed, vaulted over the counter, while the second perpetrator made his way inside a small office near the front desk and robbed a hotel guest. The young, thin man pointed a handgun and demanded cash from the front desk. During the chaos, Rodney, who was scheduled to clock out at 11 p.m., emerged from the back office. That’s when the gunman confronted him about the hotel’s safe. But there was no safe in the hotel. The armed man returned to the front desk and clocked the desk clerk on the back of the head with his .22-caliber handgun, knocking him unconscious. The man then shot Rodney, striking him in the chest. The bullet exited just below his shoulder blade, and was later recovered from the floor. The two robbers fled to a car waiting outside, with barely more than $300. The clerk and the robbed guest sought help, as Rodney laid bleeding, dying on the floor. The father and husband was pronounced dead on arrival at Kennestone Hospital. “This was a young man who was literally doing everything that he should do in life. He did everything that we ask of other members of society to do to become productive,” Cobb County District Attorney Vic Reynolds said. “A precious life was taken from us,” Kelley said. The then-expectant mother said that she bottled up her emotions the best she could following his death. 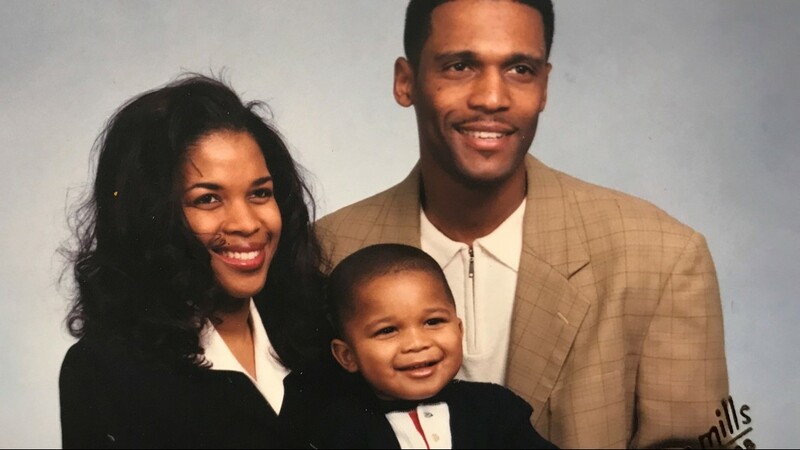 She gave birth to their healthy daughter, Ryan, on Feb. 2, 2001 without Rodney by her side—a daughter who would never know her father and the positive, outgoing person he was. “He loved people... someone you want to be around, who you want to know. He was a man of faith and he loved his family. He was all of those things and when I look at our children, I see so much of him in them. They are such a reminder of who he was as a person in their own way,” she said. But she believed that one day, his case would be solved—and the responsible brought to justice. The Cobb County Cold Case Unit got their hands on the case when their doors opened in 2014 under Reynolds' direction, and started looking at the evidence again. Cobb County Police had processed the scene in 2000, and in doing so, lifted a palm print, which was run through Georgia’s fingerprint database. They ran it again in 2005 and 2009—but to no avail. At that time, police agencies had limited access to the FBI’s fingerprint database, according to Dawes, now the lead detective for the Cobb County Cold Case Unit. But in 2012… a hit. Dawes, who was the case's original detective, identified a suspect, thanks to the perpetrator’s ongoing southern crime spree the same year Rodney was savagely murdered. 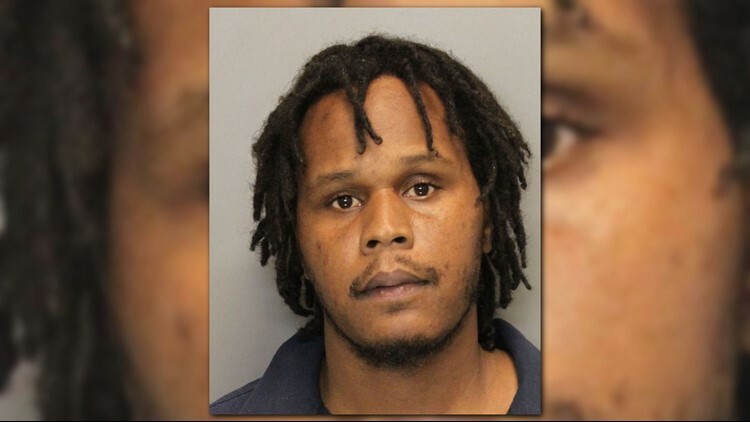 According to Dawes, the suspect had left a fingerprint at a South Carolina fast-food restaurant he robbed by gunpoint just after the armed robbery at the Wingate Inn. He was arrested in 2000 for that South Carolina crime and released 10 years later. Two years following his release from prison, his fingerprint was run through the national database. It was a match for James Lirenzo Randolph. Cobb County Police fingerprint experts examined the print from the hotel to the known print of Randolph and determined it was, in fact, a match for that crime as well. Other evidence, Dawes said, also corroborated that Randolph shot Rodney during the robbery in more than a decade earlier. In 2014, Kelley’s phone rang at work in Macon, Ga. It was a Cobb County number. She held her breath and listened carefully to the husky, raspy voice on the other end of the phone. “We found the person who killed Rodney,” the man told her. He had kept his promise 14 years later. Kelley held the phone to her ear in disbelief and as a sudden rush of relief came over her, tears flooded her face. In October 2014, Cobb County Police charged Randolph, then-34, and U.S. Marshals arrested him in Richland County, S.C.
“We just really want justice to be served. I would like a sentence of life without parole, to make sure that no other family has to experience what we went through,” Kelley said leading up to his trial. But she received more justice than she had hoped for. Sixteen years after Rodney’s murder, Randolph went to trial. After sentencing, Kelley remembered, Randolph spoke to the court. “He spoke about understanding how we feel because he's lost people in his life. I just feel like there is such a disconnect—I don't know what someone in his shoes... I don't know what they go through, what their thoughts are, and how they can commit such an act. “I can say that I would have liked for him to offer an apology, but I can't say that I expected anything in particular,” said Kelley, who didn’t miss a minute of the trial. But no apology was uttered for his role in her husband’s brutal murder. Randolph was convicted in May 2016 of malice murder, felony murder, criminal attempt to commit armed robbery, two counts of armed robbery, aggravated assault and possession of a firearm during commission of a felony. Cobb County Chief Assistant District Attorney, Don Geary, who prosecuted the case, sought the maximum punishment on each count. “This gentleman is a criminal. If we let him out, it’s not if he’ll hurt someone else, it’s how soon. … This man has proven that he’s someone the public needs to be protected from,” Geary said to the judge. Cobb Superior Court Judge Robert E. Flournoy III agreed and sentenced Randolph to three consecutive life sentences, plus 35 years. The Castlin case was the Cold Case Unit’s first solved case. “I'm just grateful to have known [Rodney]. He was my best friend; he was a loving father; he was an excellent husband. And I don't miss an opportunity to tell our children about how wonderful he was, because it's important to me that our children know about their dad,” Kelley continued. “You never know where life can take you,” Kelley, a lifelong career educator, said. She knows that better than most. After 25 years, she said that she was terminated without cause from her superintendent position in Birmingham, Ala.
“I know fully how easily it can be taken away. It is important, for me, that I live my life in the best way that I can, in the time that I have,” she said. From that spurred a need for her to pause for a moment and decide on what her next steps should be—what her future would look like. In that time of reflection, Kennrod was born. “Kennrod allows me to share Kennedy and Rodney with families that I serve—share the beauty of life and how fragile it is and how we have to make the most of every single day we're given,” Kelley said. The name stems from a combination of Rodney and Kennedy, the two loves she lost, but who remain in her heart and in her life each day. And the type of people they were are mirrored in her non-profit organization to help others. Kelley said that she began to think about how she could best serve the community, especially children. 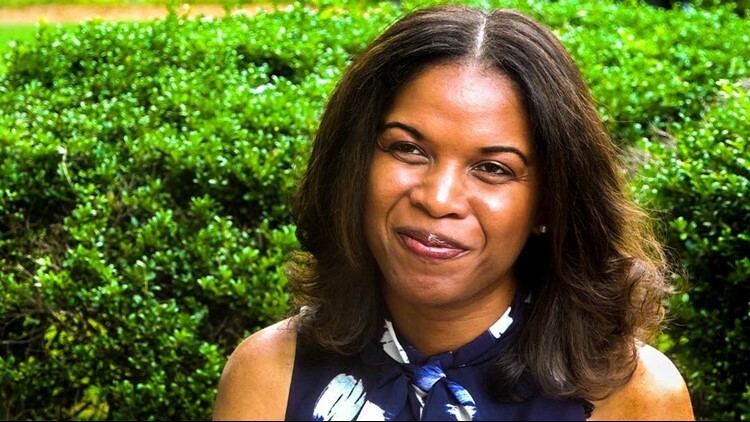 What came to her was that she knew she wanted to serve children in underserved communities, by also engaging their parents, so that they know how to better help their child. 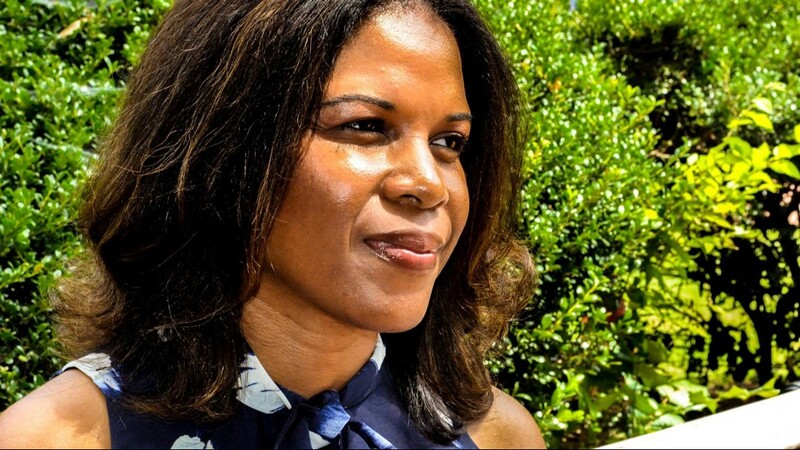 With Kennrod, she wants to give high-quality, supplemental education services, like tutoring, for pre-K through 12th-grade students in underserved communities, as well as engaging the parents in the process—so that they are more empowered about how they too can assist their children’s learning. The organization focuses on reading and writing as foundation skills, giving students the support they need across all skill areas. If they have a strong foundation in reading and writing, she said, they are much more likely to be successful in math, in science and social studies. 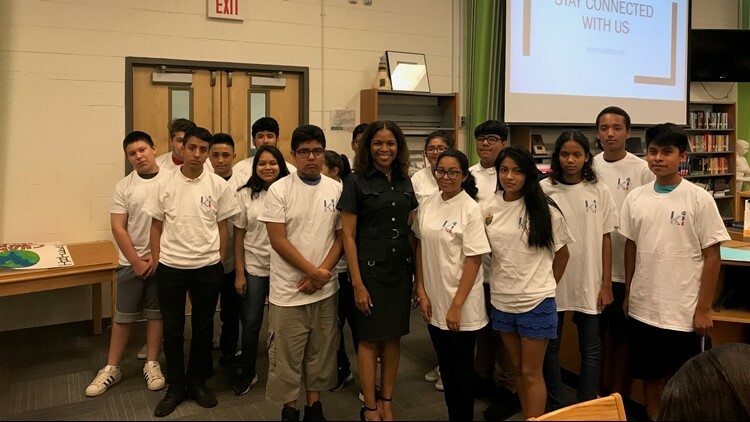 Preparing children to be successful in reading and writing early on, Kelley continued, gives them a better chance of graduating from high school, as well as, obtain success in their career and life, overall. “Being able to give them that solid education is critical. And that’s why we really want to reach them in the early years,” Kelley said. 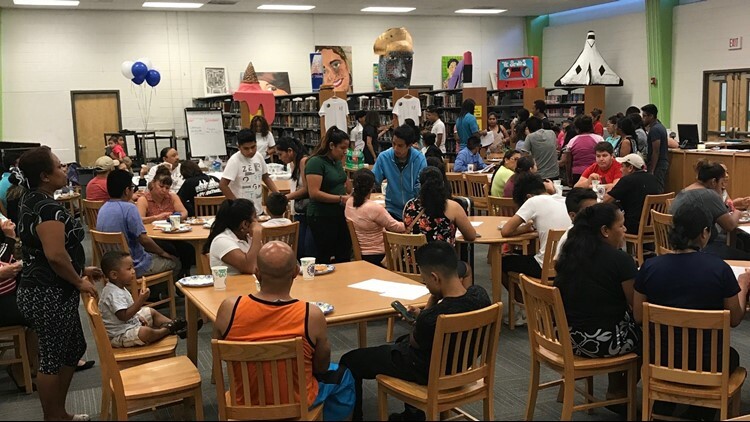 As an educator, she said, she has watched kids start school behind—proving difficult to catch up. Kennrod, she said, helps parents to work collaboratively with their children and schools to stay ahead of the curve, by providing extra support to those who need it and reach their full potential.